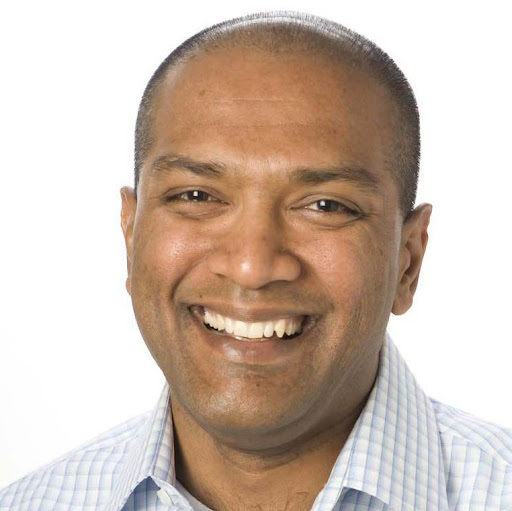 While sales people are becoming marketers at #napkinStage companies and marketers are becoming more data driven product managers, customer service managers are becoming the best sales people. The role of the customer service teams is increasingly becoming one of reducing churn, since that kills most SaaS business model’s financials. It is so hard to acquire new customers at scale and cost, so when you have a good, paying customer the objective should be to help them use the product effectively and get the most value so they get the ROI and are extremely happy. There are 3 important functions that belonged to sales – reducing customer churn, engaging users, and upselling, now belong to customer service. Previously, about 10 years ago, most customer service professionals were measured by how quickly they resolved customer support calls, how few the escalations were and how long they were on the call. These are now dramatically changed. Proactive customer outreach and predicting churn – to reach out to customers before they cancel is now the norm for most customer support teams. Most SaaS products I know are also build an integration with other products such as #slack or other chat solutions to help customer service professionals resolve questions and support the customer within the product. Many years ago I’d remember our customer service VP would measure and incent reps on how quickly they got customers off the phone. Now, the longer you keep the customer engaged and talking, the likely you are to uncover more opportunities to up sell and cross sell other products. 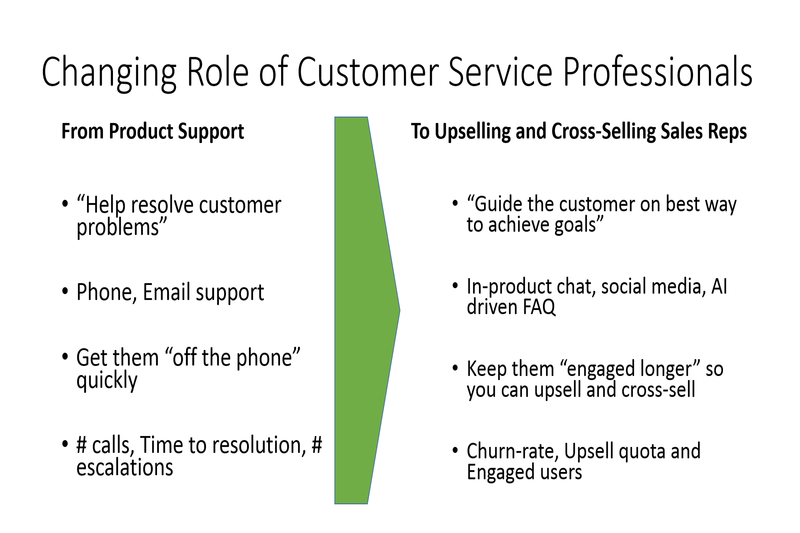 Customer service is more a sales function now, than a support function.